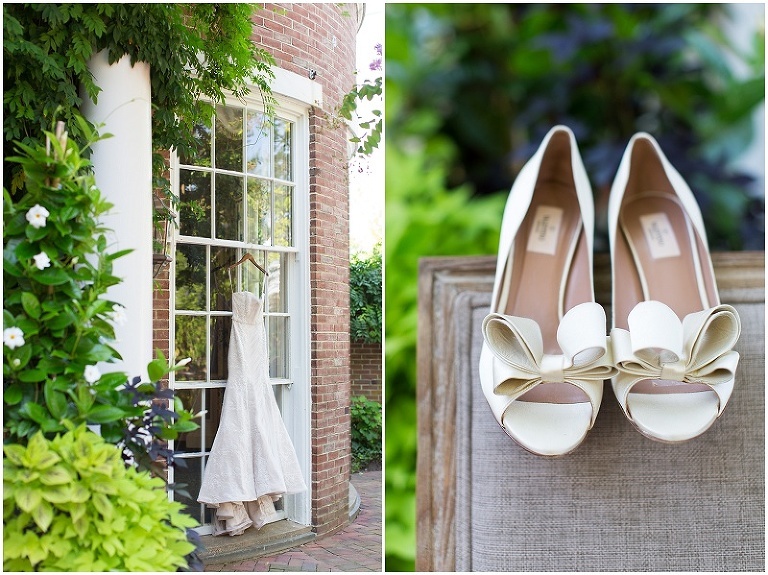 At the end of last summer, I had the pleasure of working with Cristina Calvert Signature on a style shoot at The Tidewater Inn. 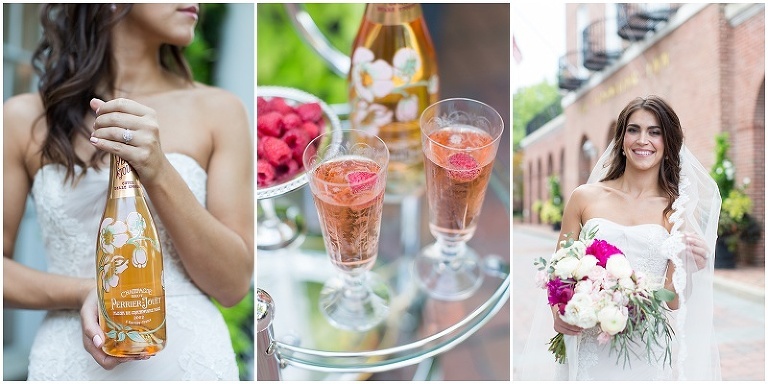 The design was cleverly based around the beautiful flower adorned Perrier-Jouet Rose champagne bottle. 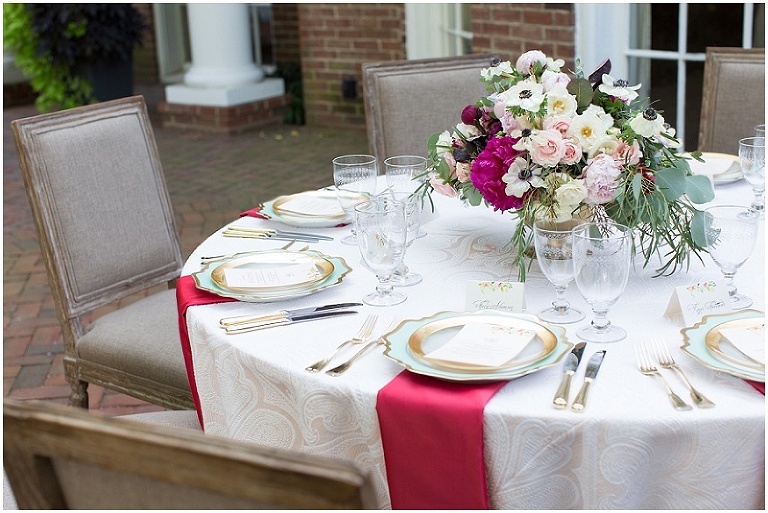 A table was set on the garden patio with touches of gold, pinks, teal and red. Watercolored placecards marked each setting and some colorful appetizers were prepared. Nadira modeled a stunning Anne Barge dress with a slight touch of blush coloring from Garnish Boutique. Bake My Day hand painted a pink cake with flowers to match the design on the champagne bottle. Intrigue put together a lovely bouquet and table centerpiece that not only looked stunning, but smelled so good! 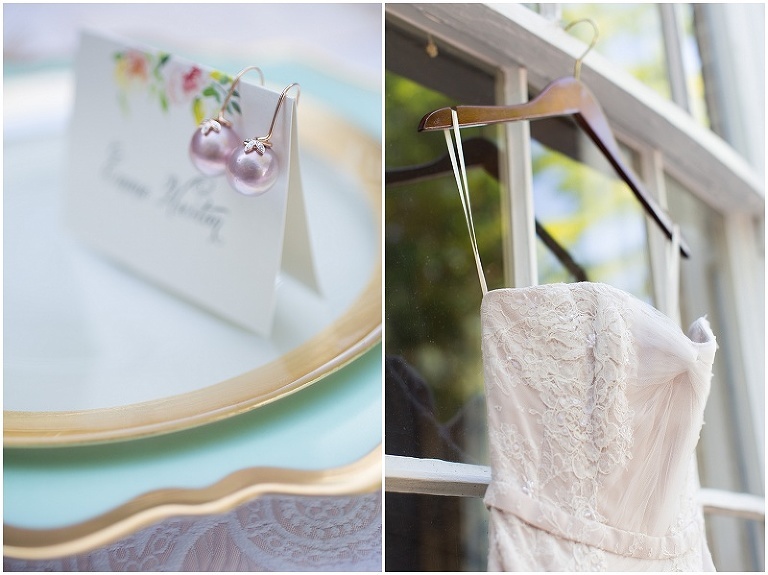 Thank you to everyone who participated and to Baltimore Bride for the wonderful feature!